Britain’s first farmland worm survey has revealed that nearly half the fields in England lack sufficient earthworms which may help explain the alarming decline of one of the country’s most loved birds, the song thrush. The citizen science project, led by Dr Jackie Stroud, a NERC Soil Security Fellow at the Rothamsted Research centre, involved farmers digging for worms in their own fields. It found “most fields have basic earthworm abundance, but 42 per cent of the fields may be over-worked”, thus creating scarcity or absence of surface-dwelling and deep-burrowing worms. Worms are a vital part of the thrush (and other birds’) diet, and adds to the evidence that they are being affected by a reduction in farmland earthworm populations, along with the loss of hedgerow nesting sites. The farmers dug a series of 20cm2 pits across their land in the spring of 2018. The average field had 9 earthworms in every spadeful of soil, with top fields having three times that number. One in 10 fields had high earthworm numbers of more than 16 worms per spadeful. Dr Stroud said the absence of deep-burrowing worms from 16 per cent of fields was of particular concern because they are ‘drainage worms’ with vertical burrows that aid water infiltration and help stop fields getting waterlogged. A study helps answer a question many of us ask when deciding whether to buy organic food: does it really make a difference? When Andreina Febres, a mother of two living in Oakland, California, signed up for a study evaluating whether an organic diet could make a difference in the amount of pesticides found in her body, she didn’t know what researchers would find. But her family, and the three others across the country that participated, would discover that they all had detectable levels of the pesticides being tracked. They would also discover that after only six days on an organic diet, every single person would see significant drops in those pesticides, including several linked to increased risk of autism, cancer, Parkinson’s, infertility, and other significant impacts on health. This just-published peer-reviewed study helps answer a question many of us ask when deciding whether to reach for the conventional or organic option at the store: does organic really make a difference? The results say yes, a big difference. Choosing organic can protect you from exposure to toxic pesticides. This study, led by researchers at University of California, Berkeley and Friends of the Earth, and co-authored by one of us, tracked pesticide levels in four families from across the country for two weeks. The first week, the families ate their typical diets of non-organic food; the following week, they ate completely organic. Urine samples taken over the course of the study were tested for pesticides and the chemicals pesticides break down into, called metabolites. The results? Of the 14 chemicals tested, every single member of every family had detectable levels. After switching to an organic diet, these levels dropped dramatically. Levels across all pesticides dropped by more than half on average. Detectable levels for the pesticide malathion, a probable human carcinogen according to the World Health Organization, decreased a dramatic 95% . Malathion was just one of the pesticides found in this study that are part of a group called organophosphates, which have long concerned public health experts because of their impact on children’s developing brains. Created as nerve agents in World War II, organophosphates have been linked to increased rates of autism, learning disabilities, and reduced IQ in children. 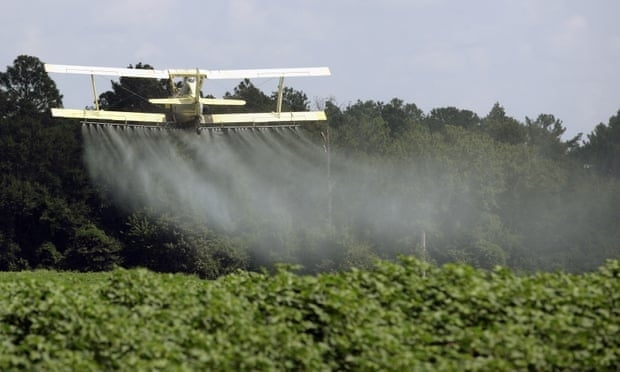 The organophosphate chlorpyrifos, found in all of the family members, is so worrisome to public health that the Environmental Protection Agency (EPA) planned to ban it in 2017 – a proposal dropped by the Trump administration. In the wake of inaction from the administration, Hawaii passed the first state level chlorpyrifos ban in 2018; and Representative Nydia Velázquez introduced a federal bill to ban it. This brings us back to the case for organic. When you choose organically-grown products, you’re guaranteed they were not grown with chlorpyrifos or the roughly 900 synthetic pesticides allowed in non-organic agriculture. Many of these pesticides are now understood to cause cancer, affect the body’s hormonal systems, disrupt fertility, cause developmental delay for children or Parkinson’s, depression, or Alzheimer’s as we age. This study shows that eating organic can dramatically decrease the pesticides you’re exposed to. Organic for all, is that too radical of an ask? But we know providing people with information about the benefits of choosing organic foods is not enough. Far too many of us don’t have the choice. Today, billions of our tax dollars are subsidizing pesticide-intensive agriculture while organic programs and research are woefully underfunded. This misdirection of public dollars is one of the reasons many people across the country still don’t have access to, or can’t afford, organic food. Representative Alexandria Ocasio-Cortez has argued that in a modern, moral, wealthy society, no person should be too poor to live. We believe it follows that in such a society, none of us should be too poor to afford food raised without toxic chemicals and that all of us should be able to support a food chain that protects the health of farmers, farmworkers and communities who are otherwise on the fron-tlines of pesticide exposure. 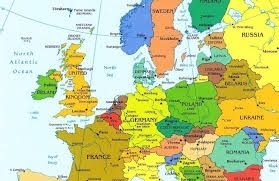 Europe could be farmed entirely through sustainable systems, such as organic, and still feed a growing population, claims recent research. The ‘Ten Years for Agroecology’ study, from European think tank IDDRi, shows that pesticides can be phased out and greenhouse gas emissions radically reduced in Europe through agroecological farming – which would still produce enough healthy food for a growing population. With more than half the cereals and oilseed crops grown being fed to animals, the report argues that we have to reorientate diets towards plant-based proteins and pasture-fed livestock, away from grain-fed white meat. There is no doubt that intensive agrichemical farming has contributed to a steep decline in global insect populations, birdlife, and ecosystem degradation – much of it linked to pesticide use. The report argues that the next 10 years will be critical in engaging Europe in this agroecological transition. The paper suggests that agroecology – using ecological principles first and chemicals last – presents a credible and holistic way of feeding Europe by 2050. But action is needed now. • Meat production in Europe has been reduced by 40%, with the greatest reductions in the production of grain-fed pork and poultry. • European diets include less meat and more plant-based proteins overall, but with an ongoing sustainable role for grass-fed meat and dairy. • Europe has achieved protein self-sufficiency, halting the import of protein crops for animal feed, which are often associated with deforestation and greenhouse gas emissions abroad. • Europe’s biodiverse and carbon-rich grasslands are maintained, nurturing biodiversity and contributing towards a reduction in agricultural greenhouse gas emissions of 40%. IDDRi is a think tank that facilitates the transition to sustainable development. Acting as an independent policy research institute, IDDRI identifies conditions and proposes tools to place sustainable development at the heart of international relations and public and private policies. 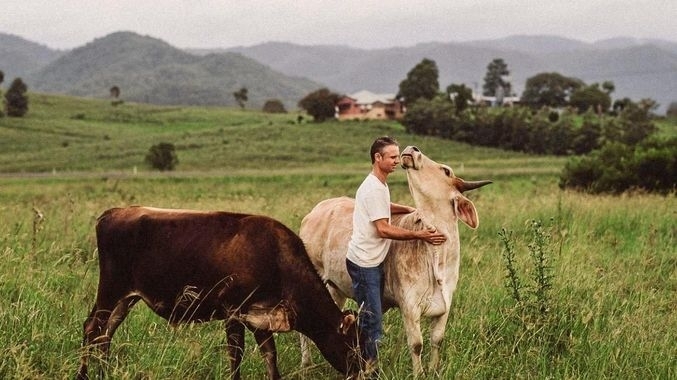 The Vegan Organic Network (VON) is working with beef farmers who have decided they no longer wish to rear cattle for meat. 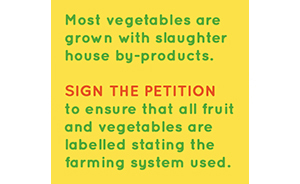 Instead they will make the transition to ethical, environmentally beneficial veganic (stockfree) organic horticulture. An animal sanctuary has agreed to give the animals a new home where they will have the freedom to live out their 25 year lifespan.